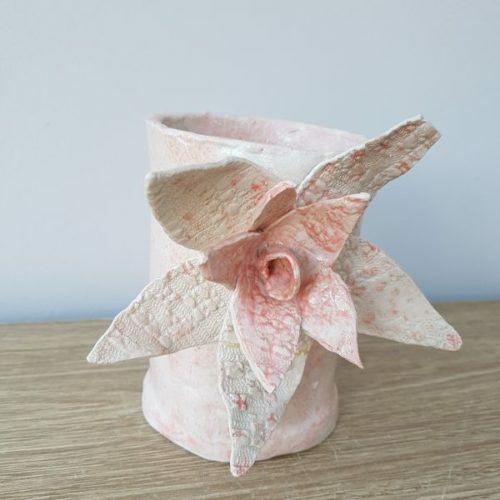 Ever fancied having a go at making your own piece of work out of clay? You can! Whether you are looking to come along in a group (perhaps a small hen party), or want to come alone and meet other creatives, everyone is welcome. 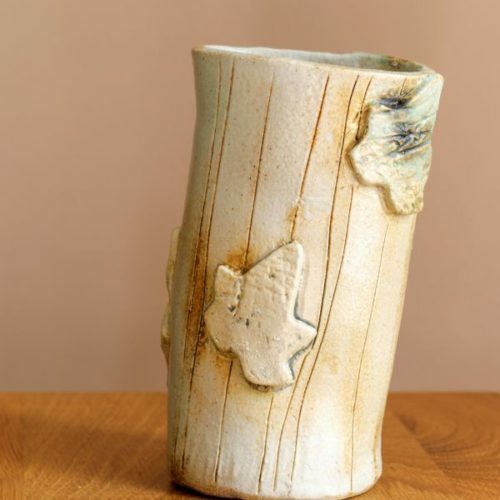 This particular pottery workshop will be focusing on making a ceramic vase, using the hand building technique. Suitable for beginners as well as anyone who has experience working with clay. You will be encouraged to get creative and use your imagination, to create a piece that is unique to you, handmade in your own style. This will not be a pottery class where everyone makes the exact same shape & design – go wild! Charlotte’s studio in Daventry, Northamptonshire, UK. Please check back soon for dates. An apron if you have one. It is advised not to wear your best clothes! This process will not be very messy but you will get dusty hands. 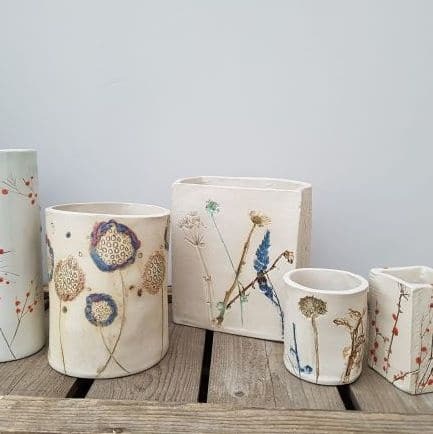 A variety of tools and mark making materials will be provided for creating textures, but feel free to bring along any particular textures that you would specifically like to use, or any special leaves/flowers that you would like to imprint into the clay. The cost of this session is £39 per person and runs for approx 2 hours. 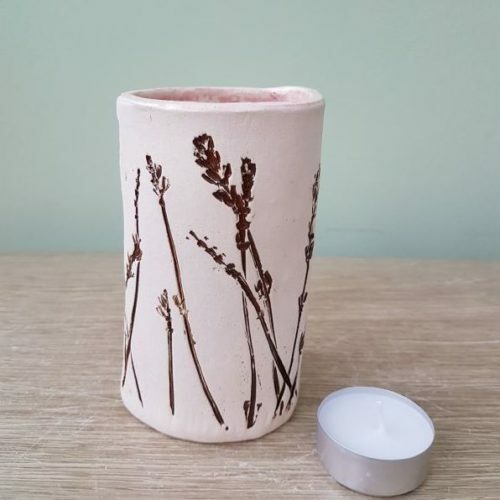 Price includes clay, different slip colours, glaze, and kiln firing. Hot & cold drinks and homemade cake is also provided. Payment is required upfront to secure the date. If you have paid and are unable to make the date agreed, it is with regret that your payment cannot be reimbursed but every effort will be put into finding another available date to suit. If for any reason the workshop needs to be cancelled, a full refund will be provided. You will be notified when your work has been fired. Finished pieces will be available for collection for up to 3 weeks after they are fired. If you would like your work posted to you, this can be arranged at cost. Please email me with how many spaces you would like to book, and I will be in touch with payment details to secure your booking.